Are you looking for a change? Check out our current job openings. You can fill out an online application in the fields below, or print a PDF version at the bottom of the page. If hired, can you provide written evidence that you are authorized to work in the United States? How were you referred to Atlas Precision? 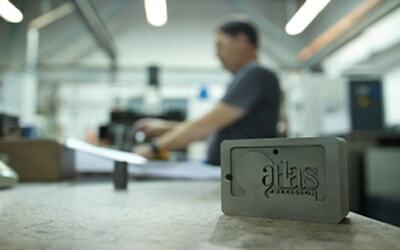 Do you have any relatives who are employed at Atlas Precision? Please list any additional information that relates to your ability to perform the job for which you have applied, such as licenses, professional membership, hobbies, etc. List your last three jobs beginning with the most recent. Please list three references. Do NOT include relatives. We may be interested in considering the resumes of persons with plastic injection molding experience for positions that may or may not be posted on this page. Please contact us if you are interested in working with a dynamic and growth-oriented company.